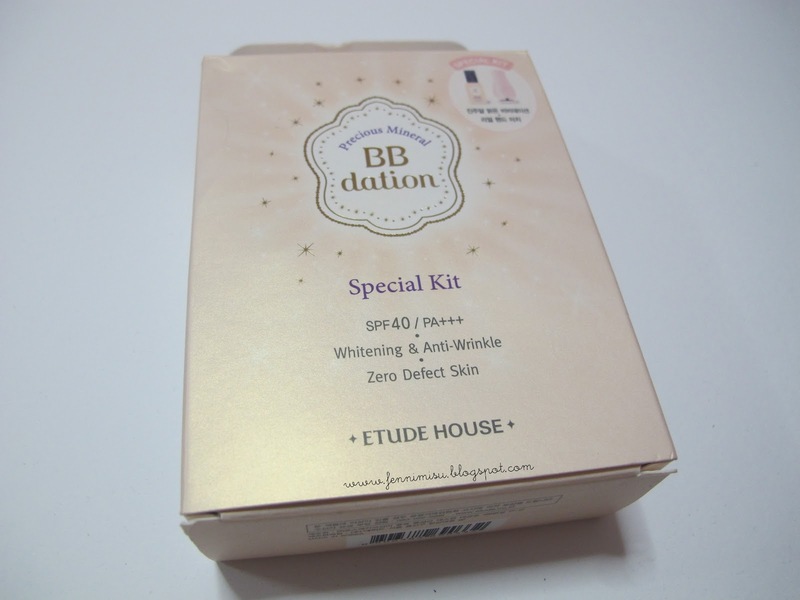 BBdation, a new revolutionary face make-up product that combines the perfect seamless fitting of BB Cream and luminous coverage of Foundation, its formula contains mineral powder coated with Hydro Essence Gel that nourishes and brightens complexion. 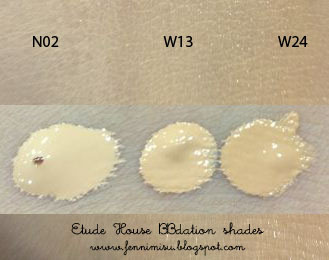 Application of this makeup makes skin appear healthier, smoother, and dramatically refined. 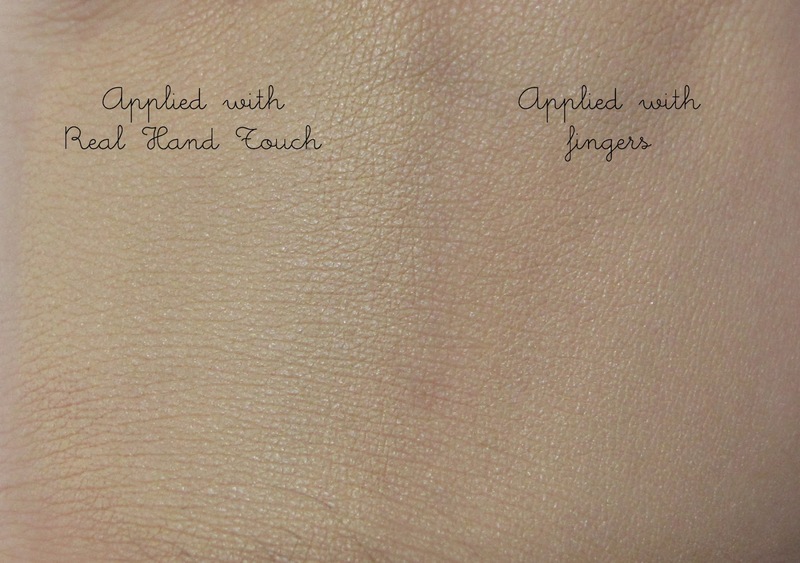 Real Hand Touch, a revolutionary applicator for BBdation. Simply push the button to experience the applicator's sponge glide effortlessly across skin for seamless blendability and perfect coverage. Also comes with the benefit of 8,500 micro-vibrations for healthy stimulation and soft and supple skin. Both the BBdation and the applicator comes in a box like this! 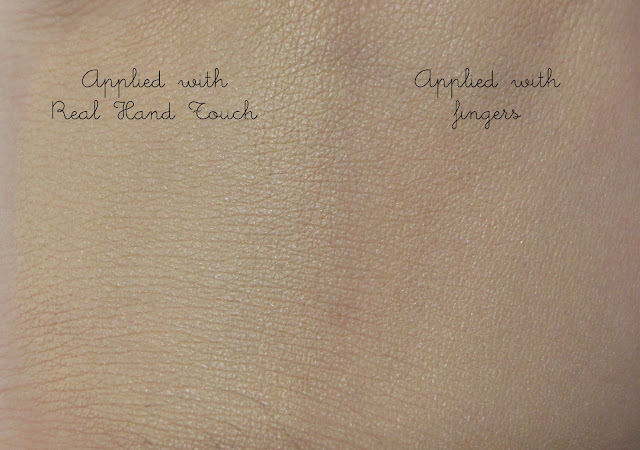 Swatched with the applicator (left) and finger (right). I think its super obvious that it looks more even on the left and also has a better coverage (for some reason). And check out the Real Hand Touch applicator! The BBdation has a super silky texture but its supposed to give a healthy glowy look, so it has a dewy finish, almost like a BB cream with Volumer already mixed inside. Well you can always mattify it if you wish. The coverage is not very thick but its good enough to get the K-pop celebrity glow. As for its UV protection, I think its quite enough (depending if you're out in the sun a lot) as its in-between the usual precious mineral BB creams that has SPF30 and the pretty new SUN BB that has SPF 50. The smell is great, like the SUN BB haha. I like the BBdation in general! The Real Hand Touch applicator is definitely super fun to use and a joy to own. 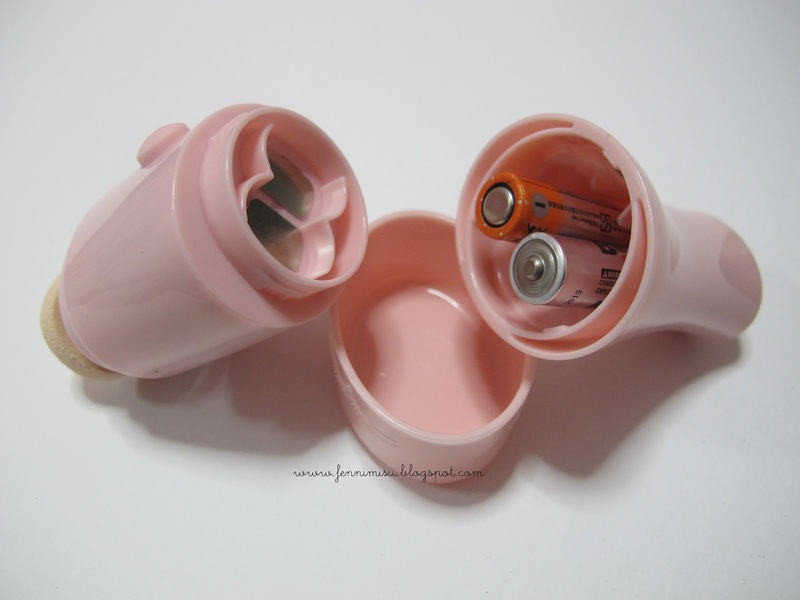 I mean, look at all these interesting stuff Etude House is releasing now. (Yeah, the 3 step volumecara was the first of the "interesting" series to me). At first the vibration may be a little weird (like a foreign feeling) but after awhile you'll get used to it and infact feel like its a massaging tool! It gave a surprisingly even finish on my face and it blended out really well with no streaks the usual foundation brush would leave. 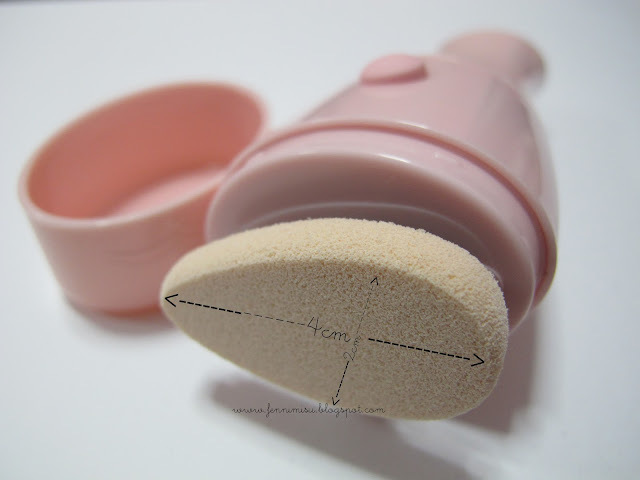 The sponge is delightfully soft~ I think its quite a value-for-money product because both products only costed 35k won. *update* Etude stores in Singapore just released the BBdation alone and the BBdation Special Kit (BBdation + Real Hand Touch)! Price of BBdation alone is $32.90 while the Special Kit costs $69.90. The Real Hand Touch applicator is however not sold alone. And 2 pcs of regular replacement sponges costs $10.90. never heard about this product... thanks for review! so informative, complete with pistures too. Just the info I need. I'm a fan of Etude, I use their Precious mineral bright fit bb cream and I like it so much. And I could not help but curious about this new product too. Are there parabens in the BBDation? This is a very detailed review. Exactly what I was looking for. 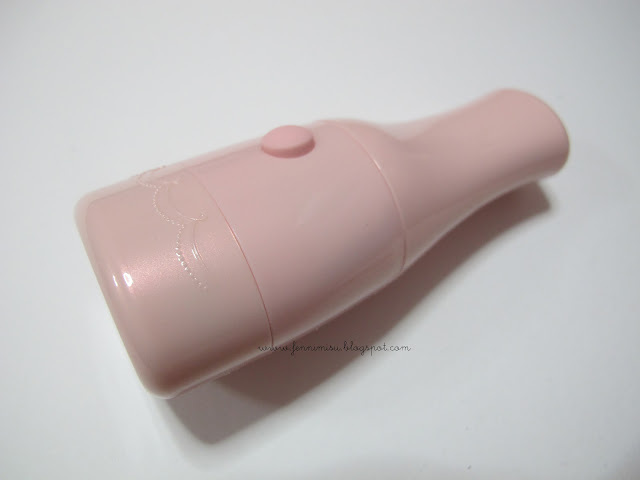 Thanks for sharing with us your review about this wonderful Etude product! How is it look on you? 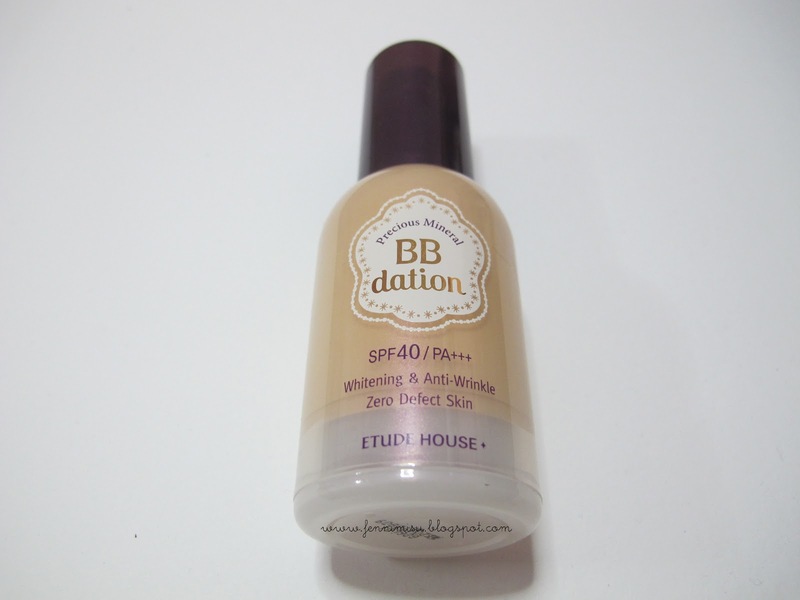 Great review, btw, i like very much.. actually i am very curiouse about this bb dation.. not sure whether buy this or not. just followed you, mind to visit my blog as well? Yep, there's another type of sponge for it, called the aura sponge. I think it gives a more glowy look as compared to the regular sponge. Havn't gotten around buying any refill sponges yet, hehe. do you know how to clean the sponge ?? You can pluck the whole sponge out and wash it with brush cleansing soap! Try pressing down one side of the sponge, the other side would pop up and you can remove it for cleaning. You can also buy refills when it gets too worn.